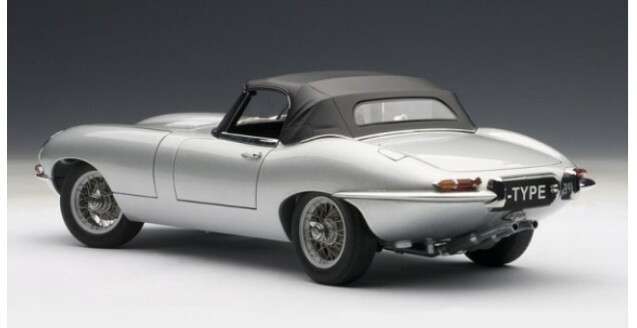 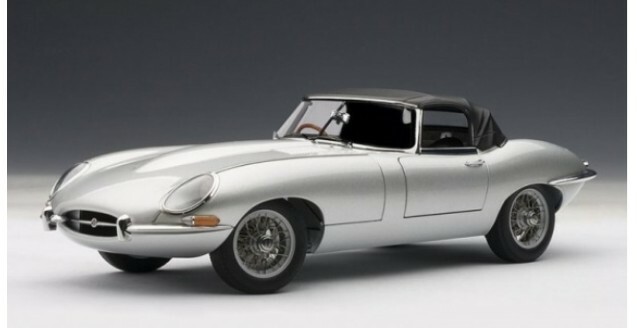 AUTOart Jaguar E Type Roadster Series 1 Silver diecast model car 1:18 scale with dimensions 26cm by 9cm by 8cm (h). 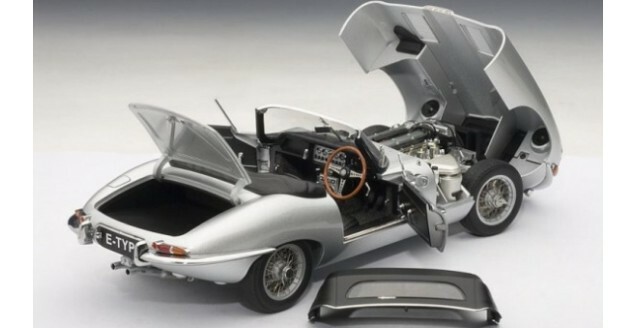 Not the right Jaguar model? 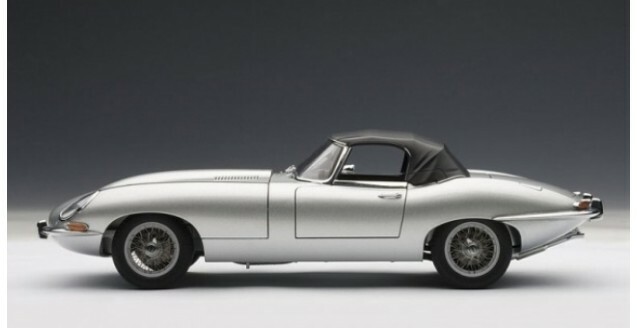 Please see our other AutoArt Jaguar models.